PRIVACY, HUNTING, FISHING - OH MY! 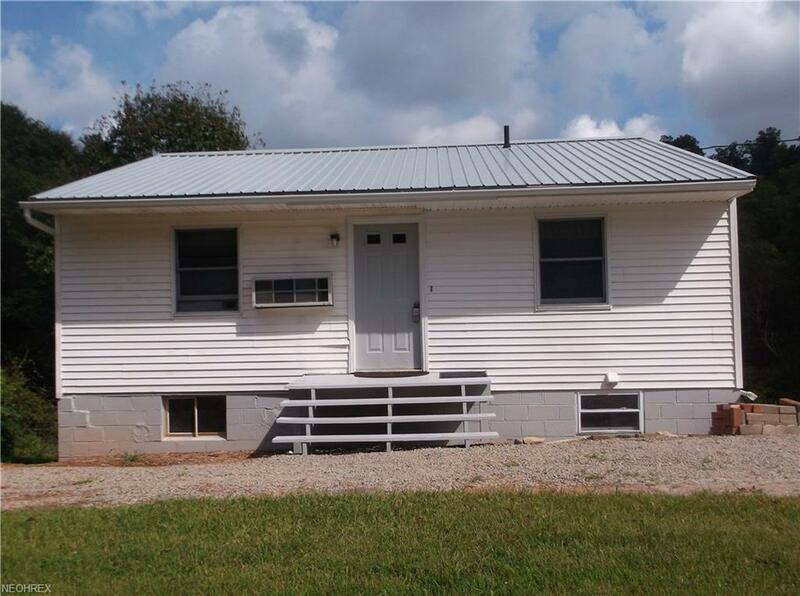 This 2-3 bedroom home sits on a scenic 5.15 acres with stocked pond with pond aerator. The living room and eat-in size kitchen offer an open concept both with new vinyl flooring. 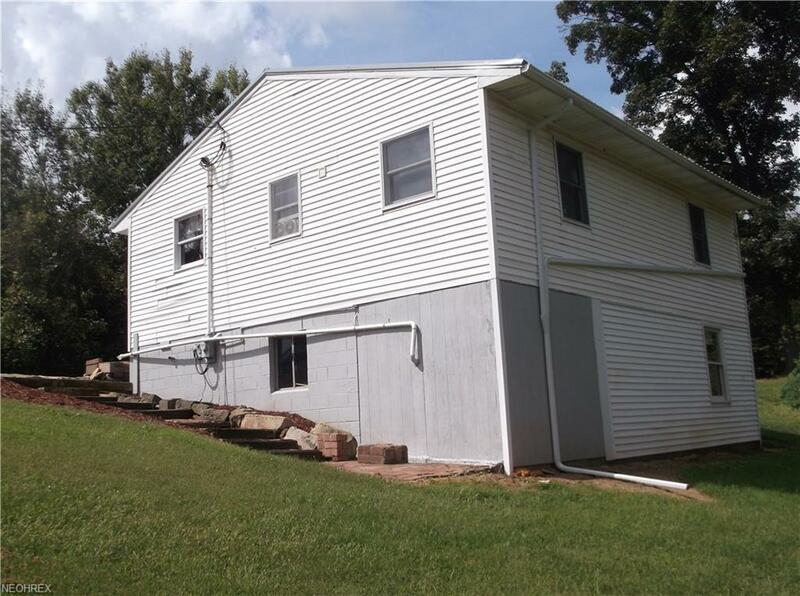 Two bedrooms are located on the first floor with the third bedroom on the basement level all with large closets. The spiral staircase leads to the basement level which can be used as a family room or game room ready for a wood stove, if desired. A second bath is located in the basement but has not been hooked up. First floor washer and dryer included. Many updates include some new flooring, beautiful wood wall dcor, all new kitchen appliances, ceiling fans, some new paint (interior and exterior) and new metal roof. 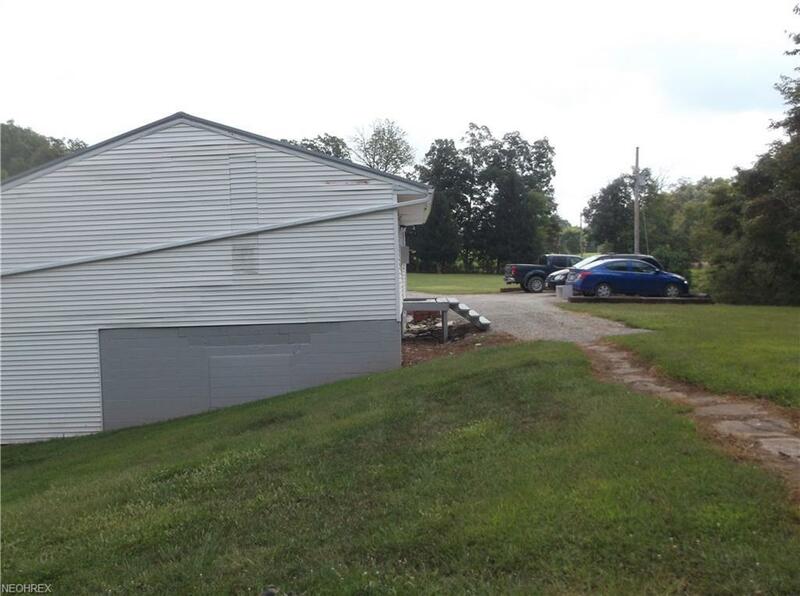 A portable "garage in a box" has been installed on a concrete pad for additional storage. Well, water holding tank, private septic. Mineral rights are leased but may be negotiable. (Auditor reflects address as 52595 Dog Run Road.) Move-in ready country living not far from Seneca Lake. Schedule your tour soon! Listing courtesy of Century 21 Gibson-Turner. 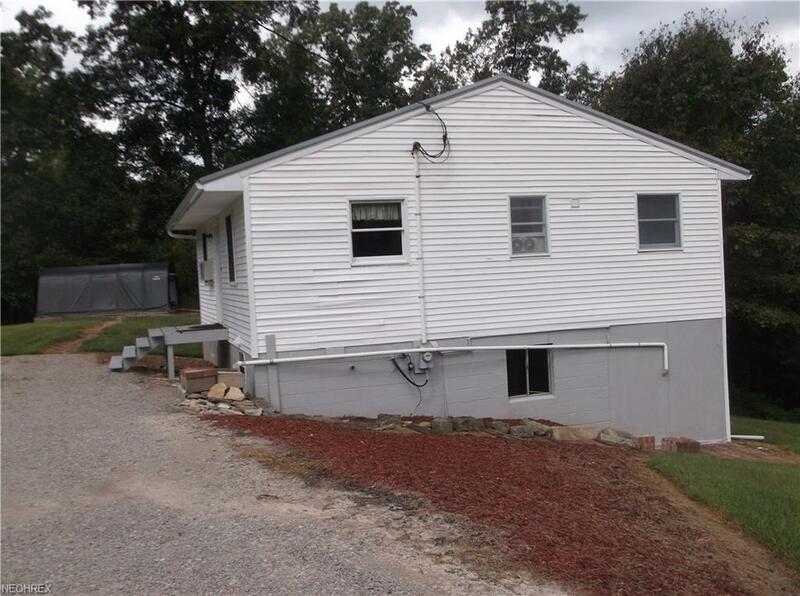 Listing provided courtesy of Century 21 Gibson-Turner.